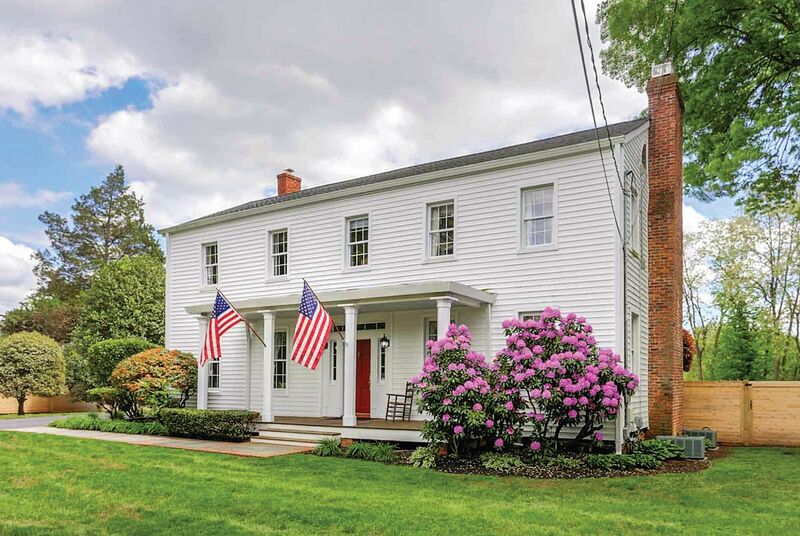 Built in 1831 for Henry Green Wyckoff, in the same family for generations, this I-house retains the original “pumpkin pine” staircase and ﬂoors. 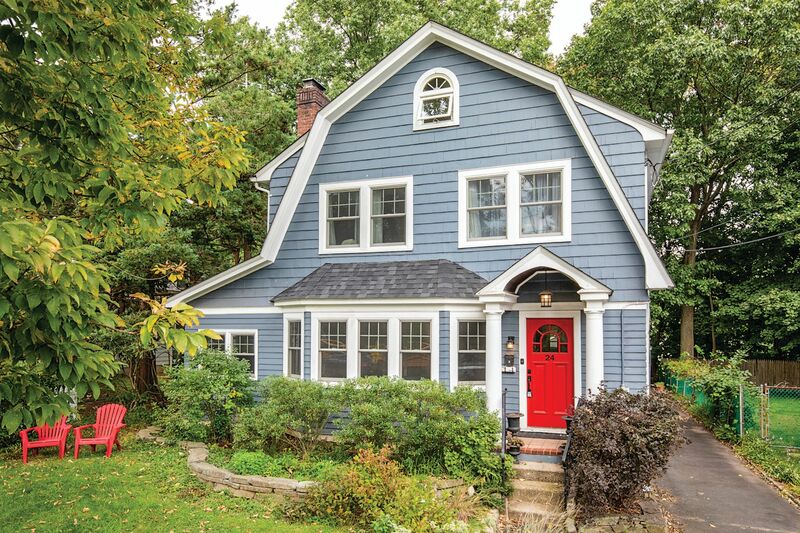 This 1929 Dutch Colonial Revival has the gambrel end facing the street. Note the wide bay window and entry portico with pediment and columns. Inside are hardwood ﬂoors, a brick ﬁreplace, and updated marble baths.